Main »» What is Aikido? Aikido is a modern martial art created by Morihei Ueshiba in Japan in the early part of the last century. Ueshiba Sensei, otherwise known as O'Sensei (great teacher) conceived this art out of his personal enlightenment and background in Daito Ryu Aikijujitsu. He discovered that Budo or the martial way was not for fighting or downing an opponent but rather, it was for "the loving protection of all living things". 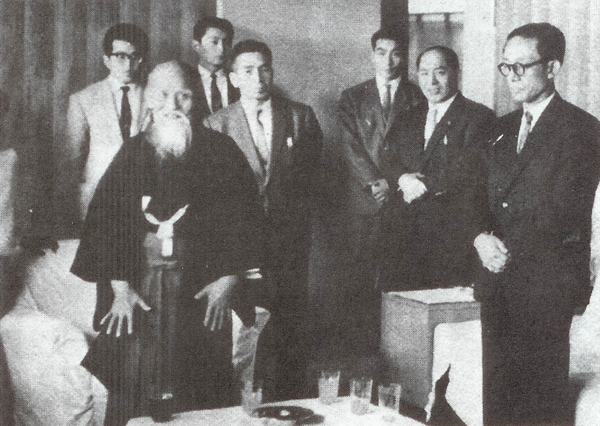 He therefore created a system of martial training that seeks to make its practitioners find harmony and a sense of discipline and peace through the practice of Aikido. This training seeks not to injure the "opponent" but to subdue him. It is in this training as well, that the practitioner himself deals with his own ego and aggressive tendencies and attempts to come to a harmony of mind and body in order to express the balance and calmness of a stable center. Outwardly, Aikido is made up of pinning techniques and projections or "throws" instead of bone breaking techniques or lethal strikes to pressure points. It is an art that emphasizes circular movement and blending with the force coming toward the practitioner with an attitude of non-confrontation. Aikido is more than just learning self defense. It is an entire art which includes a way of life and philosophical understanding that gives meaning to the method of the training.